We pride ourselves at creating landscape and subdivision designs that are not only easy on the eye at but are 100% functional, and of course meet all required consent standards. We have extensive experience working on mid sized subdivision developments, but equally love working on a diverse range of projects – whether they be large or small. and planting and maintenance instructions. 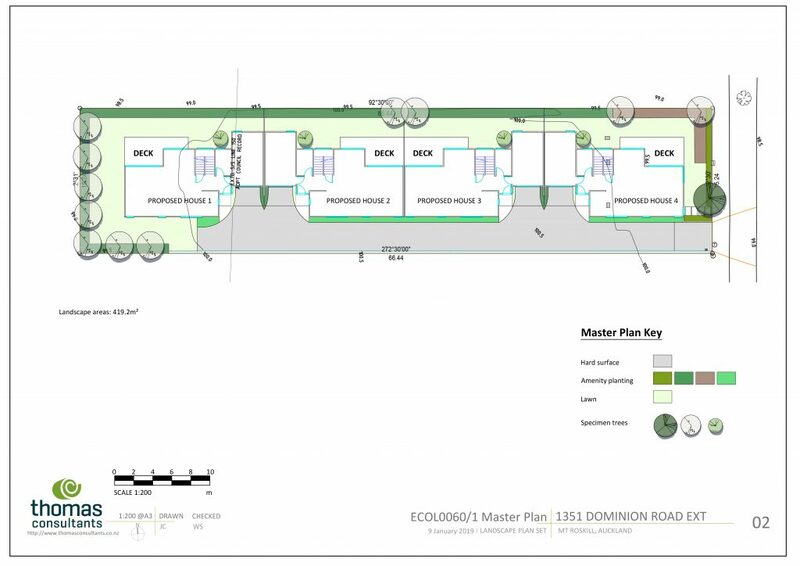 These plans and drawings are collated and presented in a set for lodgement with a Resource Consent Application, or as requested by Council Planners as a Section 92 request or Condition of Consent. From here the fun begins and we can turn the plans into reality. Thomas Consultants were engaged by the client to prepare preliminary landscape concept designs for a development in Hobsonville. The road is a diverse, master planned urban community that will feature hundreds of high quality homes in a variety of styles, prices and building types. 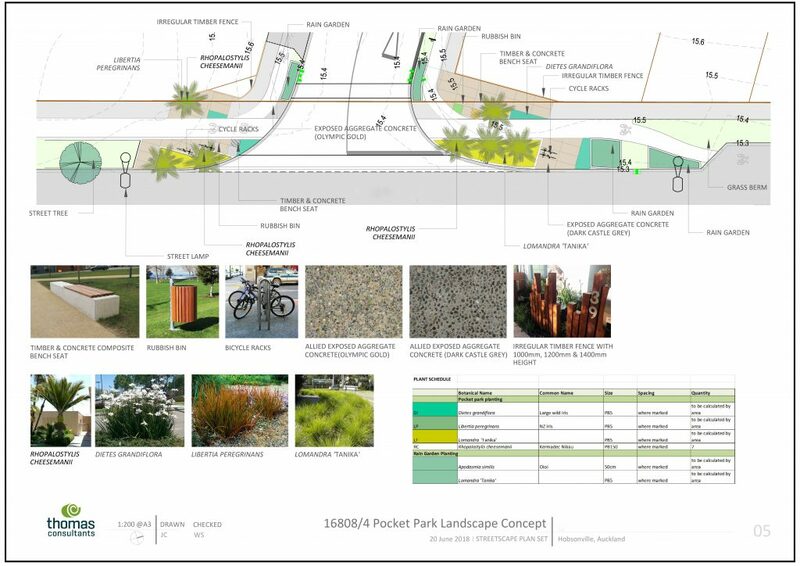 We provided extensive landscape architecture services, including site layout, resource consent and landscape design. These services were rolled out for the streetscape, pocket parks and the detached, duplex and terraced housing. Our team is proud to have turned our client’s vision into a highly successful reality. 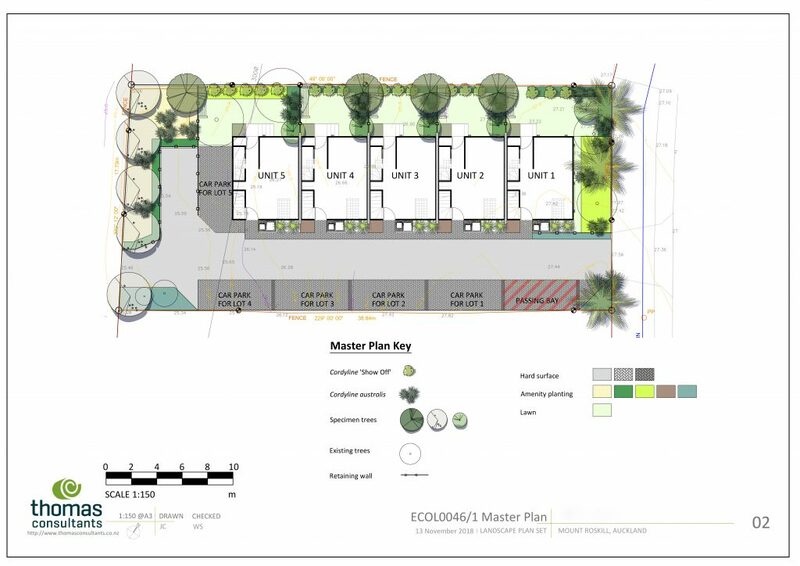 Thomas Consultants was engaged by the client to prepare preliminary landscape and architecture concept designs for a development in Henderson Valley. 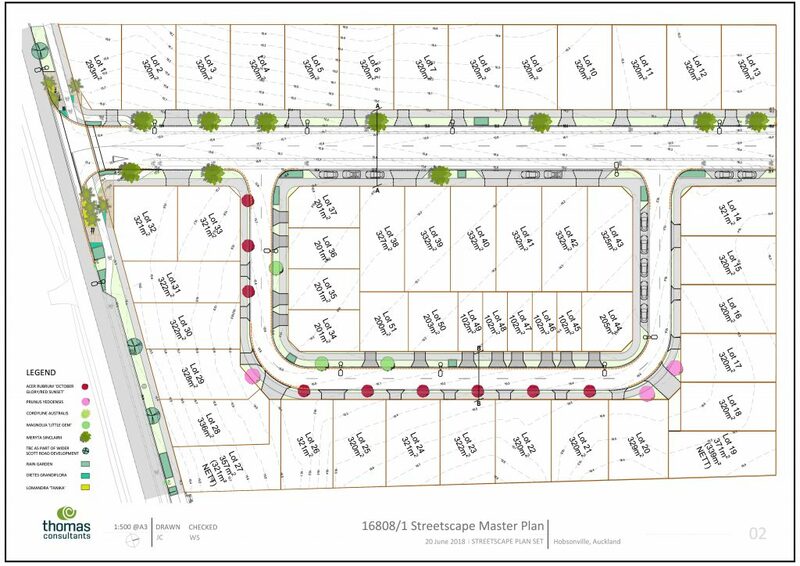 The proposed subdivision design was comprised of 35 residential lots with an area of 600m2 and over, 21 Lots of 300m2 and over; a total of 56 residential lots. The scheme includes three jointly Owned Access Lots and a loop road. 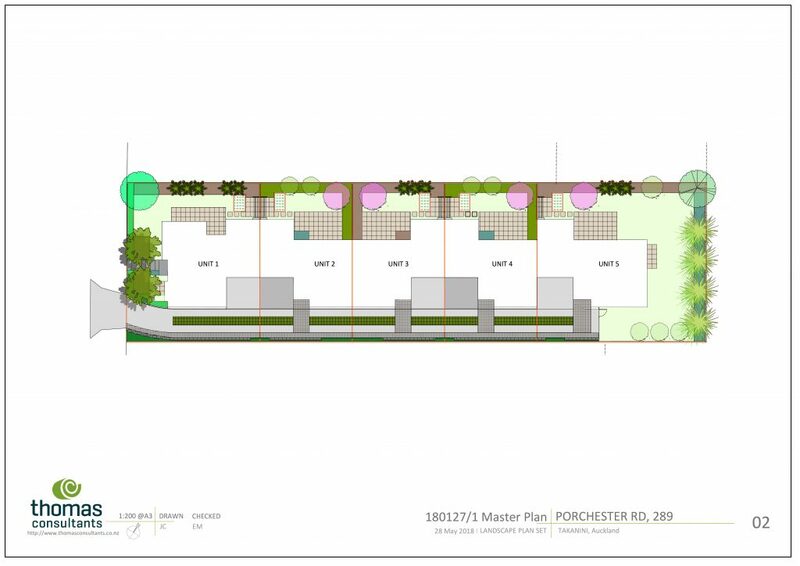 We provided site layout, architecture design and landscape design for detatched, duplex and terraced developments. 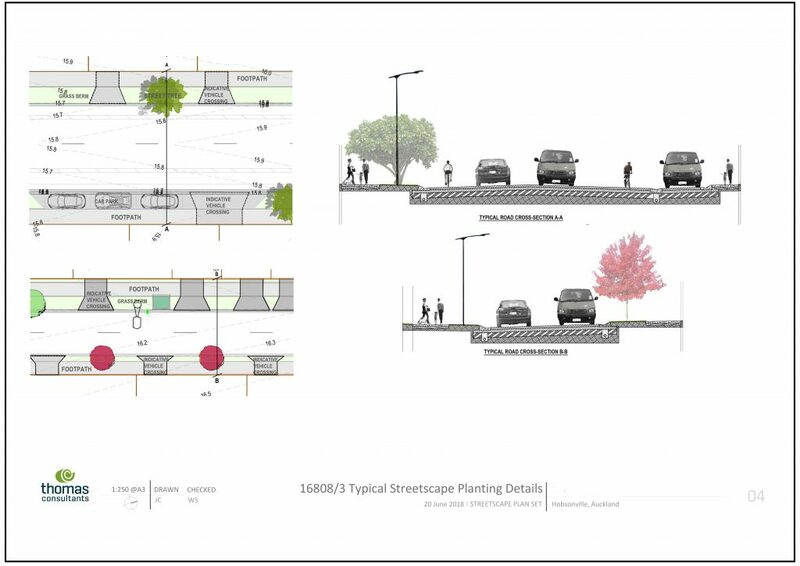 The designs also addressed stormwater management, roading, and pedestrian connections. Thomas Consultants works on a variety of projects of all sizes. We get involved with many smaller scale developments where we liaise closely with Council. As a dedicated team, we have the utmost respect of the local vegetated character and landscape value. 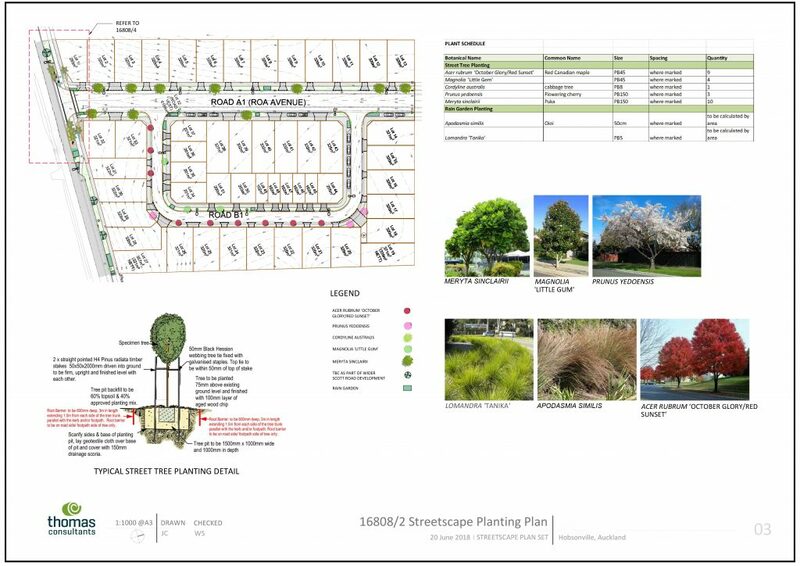 We offer outstanding landscape design to support the highest level of intensification in small subdivisions. Get your landscape and subdivision development off the ground today!